This fresh and non-greasy fluid calms the first signs of aging. Thanks to its active ingredients, wrinkles and small fine lines are smoothed. 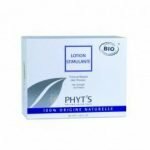 The result firmer, moisturised and radiant skin. Ingredients include: Bitter orange, Sunflower seed oil, Shea butter, Hemp seed and soothing Aloe. 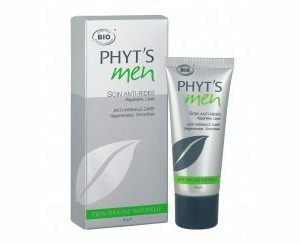 For best results remember to cleanse your skin with one of the PHYT’s Men gels and apply Soin Anti-rides. 19% of total ingredients come from organic agriculture.